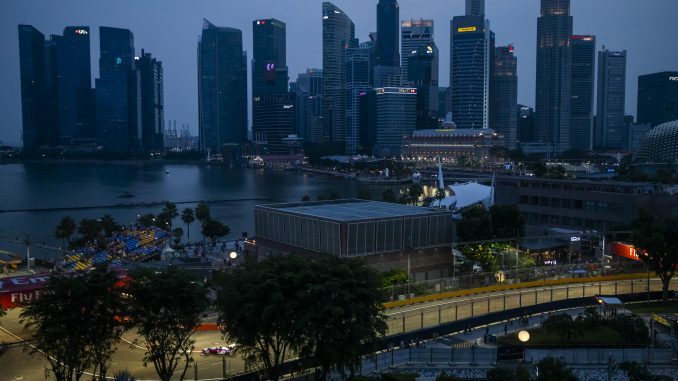 The Original F1 night race and still the best, the Singapore Grand Prix is also the longest race on the calendar with an almost 2 hour duration, even under normal conditions with a dry track and without a safety car. This means that reliability is going to be key for tomorrow. So how do you approach qualifying? Do you sacrifice a little engine power to give your car more of a chance of going the distance, or do you hit it hard and hope that you can hang on? We’l find out in the next 90 minutes who is doing what to give themselves a chance on a tight, street circuit with minimal overtaking opportunities.